"For a well-informed critical treatment of the Sunshine Policy, see Donald Kirk, Korea Betrayed: Kim Dae Jung and Sunshine." "For Want of a Prize, a Nation's Security Is Lost"
"It was only in the waning days of DJ Kim's presidency the truth about the Summit came out—as a result of revelations made by US asylum seeker Kim Ki-sam—as to why the North agreed to it. ...The whole story of this presidential betrayal is detailed in Korea Betrayed: Kim Dae-jung and Sunshine, published in 2009." "I really enjoyed and benefited from your book on DJ. I think it is a great corrective for those Americans who think that DJ was a saint and thus don't understand why he was so controversial at home. He certainly was a remarkable man, but as you make clear, remarkable in his political vices as well as his political virtues." "Don Kirk's Korea Betrayed is changing the way I think about Kim Dae Jung....And unless you already believe that DJ was a closet commie, Korea Betrayed might change the way you think, too." "Based on his excellent sources, documents, research, and over 40 years of personal acquaintances with key Korean leaders and citizens, Kirk has provided valuable insights on 'how we got where we are' regarding the Korean Peninsula. "Kirk details the hidden underworld of the Nobel Peace Prize processes, the promotion and the buying and selling of that million (+) dollar prize. 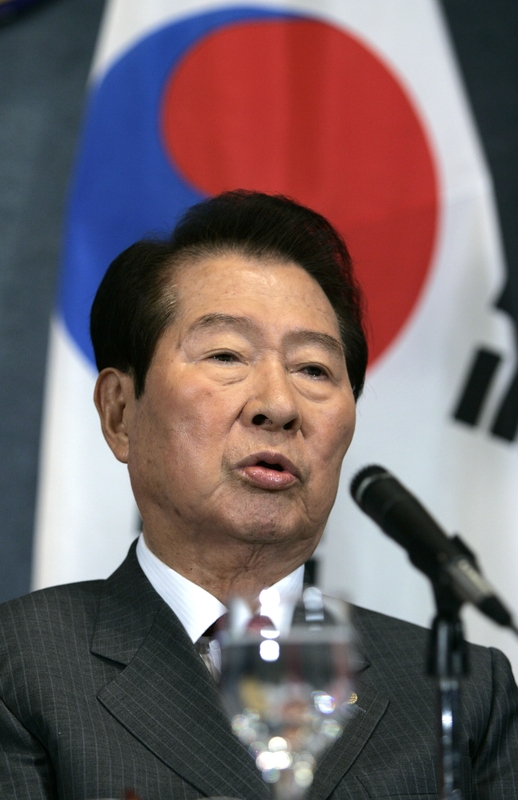 The US liberal establishment periodically harbored Kim Dae Jung in American university and political posts during times when he found it 'inconvenient' to reside in Korea. That establishment, and in some instances the White House and the CIA, have become proficient in the Nobel buying process subsequent to the early 1960's. 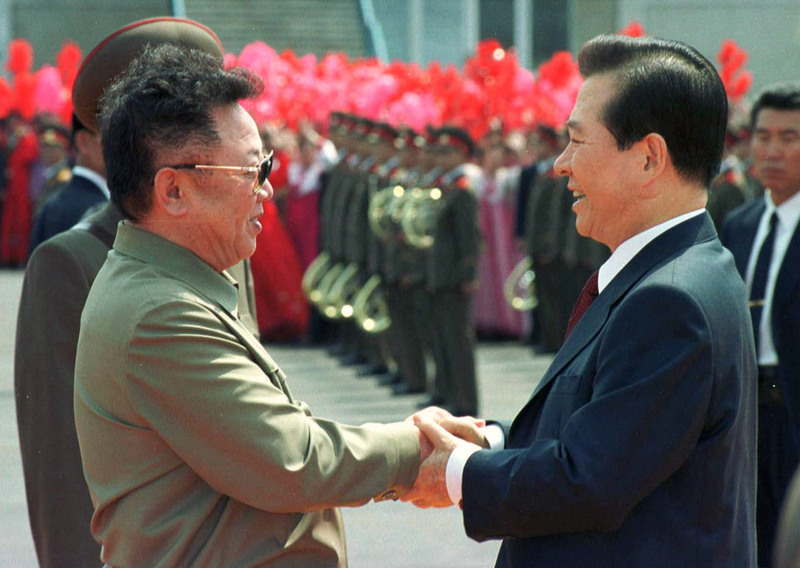 "Kirk documents President Kim Dae Jung's hidden transfer of over $500,000,000 to the "beloved" leader of the DPRK, Kim Jong-il, as part of the hidden bartering to get a summit, 'sunshine,' bilateral talks, and, not incidentally, a Nobel Peace Prize. "Like all such funds the DPRK devoted the assistance to an oppressive military establishment, possibly advancing the development of nuclear weapons--as has been the bulk of American aid advanced by administrations since 1995. "Don's book also provides valuable insights into the seemingly omnipresent anti-American manifestations in the Republic of Korea (we already know why NK harbors and conducts viral anti-American policies! 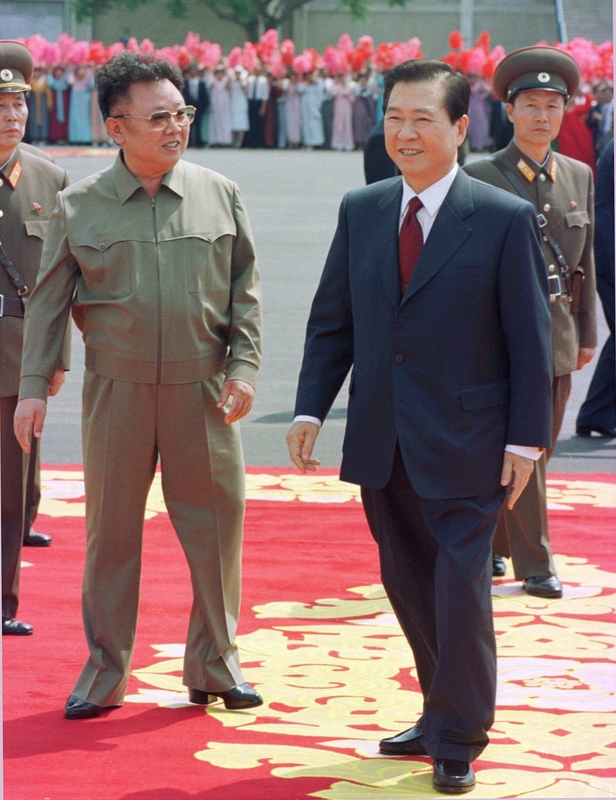 )Korea Betrayed: Kim Dae Jung and Sunshine brings documented understanding of America's strongest key ally in the world. Kirk's work is an essential tool in doing so. 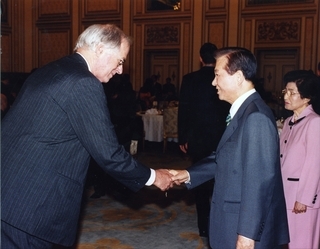 "I met Don when I became Chairman of the US-Korea Allies Council in 2006. He covered our activities in DC and Seoul. 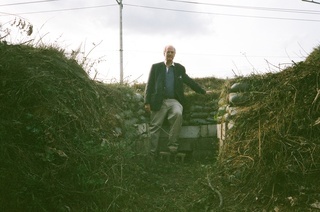 I learned that he had also covered the Vietnam War and was actually there during my last (fourth) tour of duty in that war. He has covered the insurgency and other events in the Philippines. Donald Kirk is not long on opinion and short on experience and carrying a personal agenda, a seemingly common trait of American media types. His book is a BEST BUY if you seek to know and better understand modern Korea." This book recounts the rise of Kim Dae Jung from an oppressed region of Korea, beginning with his schooldays, his activities in the Korean War and his entry into politics. The book addresses his populist politics, his ascent to the national stage and his encounters first with the military dictators who tried to take his life and then had him tried and sentenced to death for the Kwangju revolt of May 1980. The book outlines DJ's life in exile in the United States, his dramatic return to Korea and his entry into presidential politics climaxed by his election in 1997 at the height of economic crisis, the "Asian contagion" that engulfed the region. 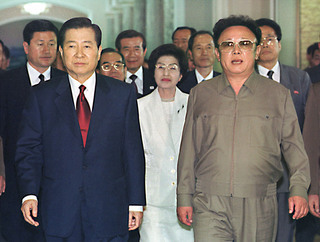 Focusing on DJ's Sunshine policy, his June 2000 summit with North Korea's Kim Jong Il and his drive for the Nobel, the book tells the story of payments that brought about the summit and the prize as well as the corruption that ensnared his three sons and top aides. 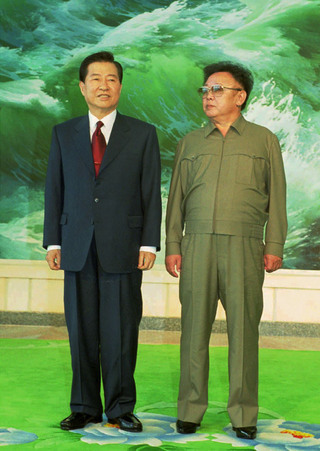 "The late Kim Dae Jung—the remarkable political dissident who rose to be President of South Korea and to win the Nobel Prize for Peace—is revered internationally, but his reputation in his native South Korea is much more controversial and contested. In this critical biography, Donald Kirk—a journalistic eminence who has been covering Korea for more than 30 years—helps us understand why this could be so. In his fascinating book, Kirk not only traces Kim Dae Jung's great political rise, but also details the moral and financial corruption that came to engulf, and permanently tarnish, the 'DJ' Presidency. Korea Betrayed will be a welcome addition to the bookshelf of every student of modern Korea. Kirk's account of the failure of DJ's 'Sunshine Policy' toward North Korea, furthermore, should be 'must reading' for all American policymakers before they prepare to deal with Pyongyang." "Donald Kirk's Korea Betrayed is a comprehensive yet cogently written look at one of the most important figures in the past hundred years of Korean history. Brilliantly researched and equally well written, Kirk's newest book could not come at a more important time. Kirk's book reminds American and South Korean policy makers why decisions made in the past are so relevant for foreign affairs today—as Washington, Pyongyang, and Seoul are at a crossroads in foreign relations that will affect the security of Northeast Asia for many years to come." 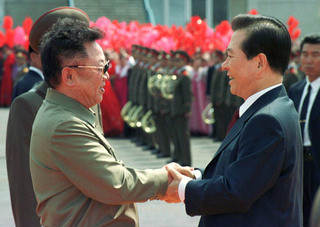 EMBRACEABLE YOU: Kim Dae Jung and Kim Jong Il greeting one another on DJ's arrival for inter-Korean summit. Just the two of them, hugs all around, on cover of Hangul edition, retitled "Myth [or Legend] of Kim Dae Jung"
The Dear Leader's tall platform heels and taller hairstyle make him almost as tall as DJ.